Recently, State of Illinois sent a notice to businesses that received Enterprise Zone benefits during 2013. The notice informed each business to file their mandated online report with the Illinois Department of Revenue (IDOR), no later than May 31, 2014, per State Statute. The City’s Community Development Department has sent a notice to businesses via email, Facebook, Twitter, and through the Chamber of Commerce. Staff is also asking for help in getting the word out. Anyone that knows of a business that received an Enterprise Zone benefit between 1/1/2013 and 12/31/2013, please advise the business to go to the City’s website at www.peoriagov.org where a link on the front page titled, “Notice of State Mandated Enterprise Zone Report for Businesses” will provide more information on this important online report. Failure to comply with this new regulation could result in the loss of Enterprise Zone benefits and other penalties. Any questions about the business incentives reporting requirements should be addressed to the Illinois Department of Revenue at www.tax.illinois.gov or by phone at 800-732-8866. 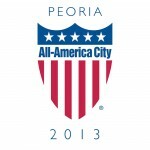 For additional information, please contact the City of Peoria Development Center at 309-494-8600.